After Beijing and Shanghai, Xian is normally the next top destination for China bound tourists. 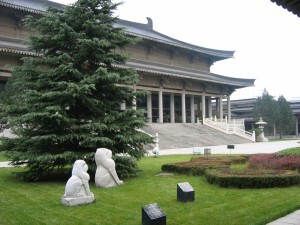 Xian is the capital of Shaanxi province and one of the oldest cities in China. Known as the start of the historic Silk Road, there’s over 6,000 years of history to explore in this metropolis with a mixture of modern architecture and Tang Dynasty districts. Here we outline our top things to see in Xian. We feel it’s not to be missed on our escorted China tours! No visit to Xian is complete without visiting the Terracotta Warriors, a UNESCO World Heritage site and one of the top sights to visit on any traveller’s journey in China. Also known as the “Terracotta Warriors and Horses,” this attraction is a collection of terracotta sculptures depicting the armies of the first Emperor of China, Qin Shi Huang. It is a form of funeral art that was buried with the emperor more than 2000 years ago and whose sole purpose was to protect the emperor in his afterlife. The figures were accidentally discovered in 1974 by local farmers who were digging a well. Since then, four main pits of approximately 7 metres deep have been excavated. 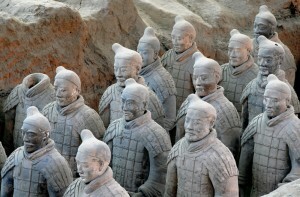 Pit one contains the main warrior army of more than 6,000 figures, arranged in 11 columns. Pit two contains cavalry, bowmen, infantry units and war chariots. Pit three is the command post, with high ranking officers and a war chariot. Pit four is empty, thought to be left unfinished by its creators. Created from clay, no two warriors look exactly alike! There are also 10,000 bronze weapons housed in the attached museum. An impressive place to visit, the sheer scale of it will amaze any local or tourist. A must on any itinerary, arrive there early to beat the crowds and get the perfect view of the warriors. 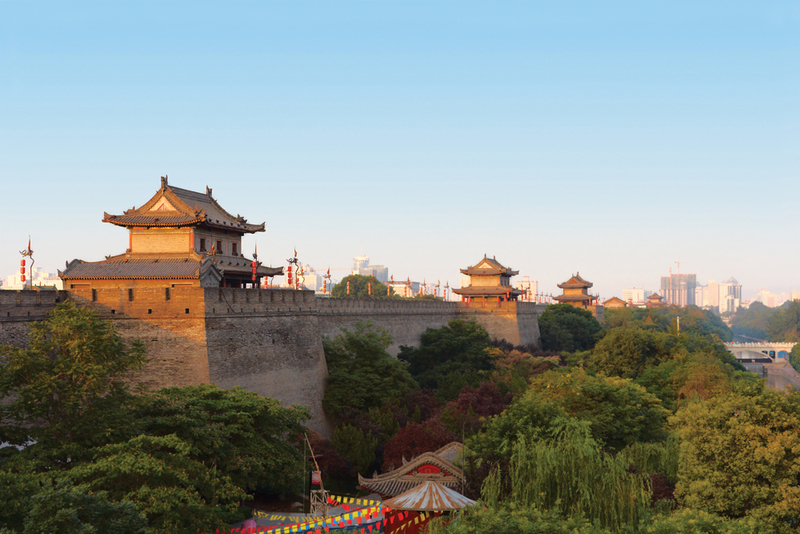 Impossible to miss, the Xian Ancient City Walls were built more than 600 year ago during the Ming Dynasty. One of the best preserved fortifications in China, the 8.5 mile long 15 metre wide wall has four impressive watch towers. The Southern Watch Tower is the main grand gate, where the ancient Welcome Ceremony to the city would take place. Dating from the Tang Dynasty, this ancient tradition was solely reserved for dignitaries and royalty. The best way to experience the Ancient City Walls is to hire a bicycle and cycle along its length. Bike hire costs are very reasonable, and you’ll see a juxtaposition of traditional and modern views from the wall, making for perfect photos. Xian is historically known as an integral city on the eastern point of the old Silk Road trading route. Xian welcomed traders, businessmen and families from other parts of Asia and the Middle East, which is illustrated by the different ethnicities and cultures found in the city today. 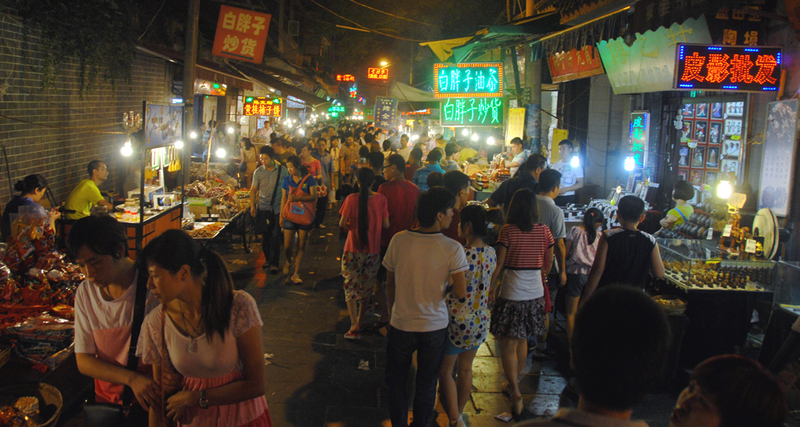 Many are concentrated in Hui People’s Street, more commonly known as the Muslim Quarter. It’s one of the best market and food streets in Xian. It’s filled with narrow alleys that are full with small restaurants and market stalls that spill out into the street until midnight. You can find local produce, exciting dishes and brilliant souvenirs to bring home. You can witness traditional noodle making as well as immerse yourself in the lively atmosphere until the late hours. The area is definitely worth exploring for an intriguing look into Chinese culture that you may not have known about. One of the first state museums with modern facilities in China, the Shaanxi Museum details thousands of years of Chinese history with over 350,000 cultural artefacts housed in a huge Tang Dynasty architectural styled building. If you love museums and history, then you’d enjoy an afternoon here wandering the exhibition halls. There are three exhibition halls to explore with long term and temporary exhibitions. Shaanxi province is rich in cultural relics; there are examples of pottery, paperwork, calligraphy, chinaware, fine arts and scrolls to be seen in the museum. There are a limited number of free tickets every day, as well as paid for tickets after these have been sold. Most exhibits have a description in English and you can barter in the gift shop! For a cultural evening out after a long day’s sightseeing, a great recommendation would be to go and see the Tang Dynasty Dancing Show, which is a breath-taking performance of traditional Chinese music and dance. Sacred dance was originally performed as a ritual of prayer for a good harvest. This dance evolved from a series of simple movements into a delicate artform, reaching its artistic peak in the Tang Dynasty. 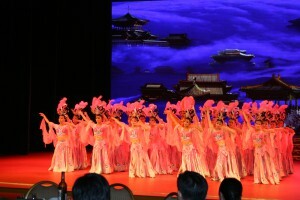 Now recreated for performance in the present day, it has been on stage in Xian for more than twenty years and has also toured the world. Each performance has the option of a pre-show traditional shui jiao dumpling meal. The dumplings come in various shapes and are all handmade. Filled with meat and vegetables, it’s similar to dim sum but more authentic and eaten in the evening. The Little Wild Goose Pagoda, also known as the Small Wild Goose Pagoda, is one of two significant pagodas in Xian. 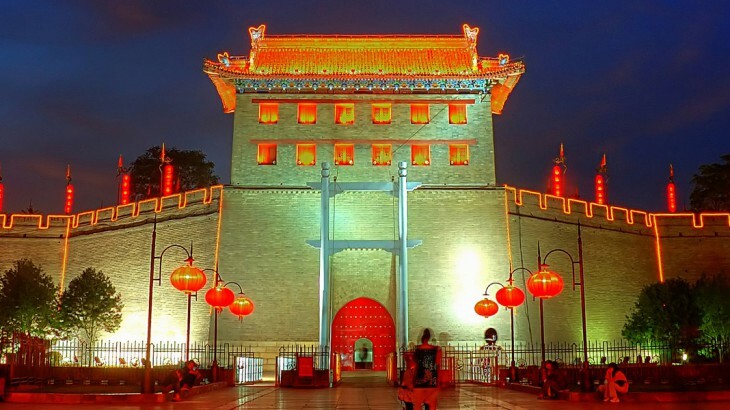 It was built in the year 707 AD during the Tang Dynasty and was included in the World Heritage List in June 2014. Located inside Jianfu Temple, the pagoda is 43 metres high, though it was once two metres taller before an earthquake in 1556 destroyed its upper half. Inside, there is a staircase that allows visitors to access the top of the pagoda. The other significant pagoda is the Big Wild Goose Pagoda. 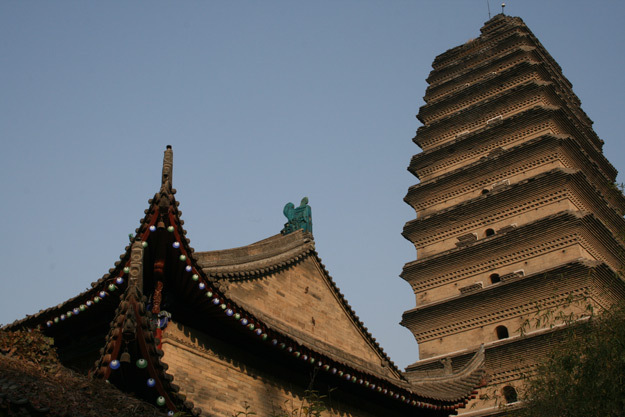 Also known as the Giant Wild Goose Pagoda, it too was built during the Tang Dynasty. It has a height of 64 meters comprised of 7 stories, though it was first constructed with 5 stories before being extended. Like it’s sister pagoda, there is a staircase that allows visitors to access the top of the pagoda. Many prefer to climb the smaller pagoda though as it’s more atmospheric. Visit Xian on your guided China holiday with the UK’s leading China Experts, Wendy Wu Tours. Our award winning escorted, fully inclusive China tours visit all the major sights of China for an unforgettable holiday. China history, silk road, top things to see. permalink.